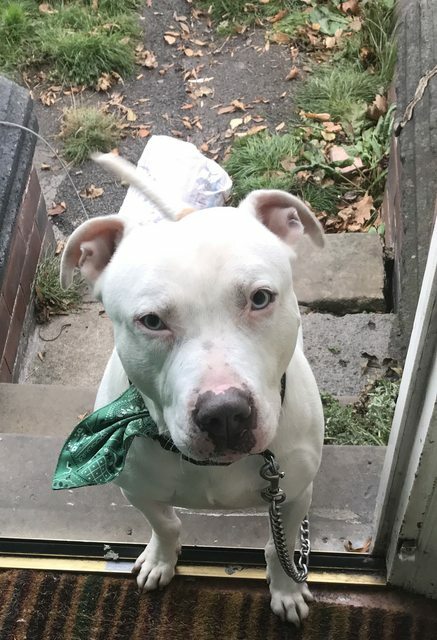 Pharoah is a friendly and calm 7 year old male Staffordshire Bull Terrier crossbreed who is looking for his forever home. Pharoah is vaccinated and micro-chipped. Pharoah is fully house-trained. Pharoah has lived around children and another dog. Pharoah has sustained an injury that may be likely to reoccur and require treatment. Please enquire. ● Pharaoh is a lovely family dog looking for his forever home. He has a friendly personality and is a relaxed dog at home, generally a joy to be around. Pharaoh has been around children and currently lives with another dog. ● This dog is located in Leeds, West Yorkshire.